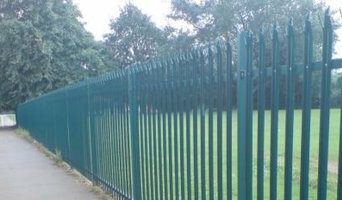 Bowden Fencing Ltd offer a range of services from security fencing to home fencing. We have a large range of materials to choose from including chain link fences, mesh fencing systems and metal palisade fencing. We have provided our services to Industrial sites, commercial premises, schools and colleges. All our fencing contractors are fully qualified and trained and offer the highest level of service. FSW Security Products manufacture / install security gates, roller shutters and other physical security products in Coventry, Rugby and Nuneaton for both domestic and commercial clients. Our professionals are highly experienced and ensure your steelwork is deployed to site with exacting standards. 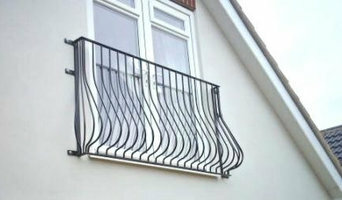 We are one of the top steel suppliers in the area, and our team members are friendly and punctual. Our security products offer a low maintenance, durable solution, providing you with outstanding security for your residential or commercial property. We offer competitive rates for the supply and fabrication of our structural steel products, so if you are the one looking for physical security for your property, give us a call today. I have over 20 years of experience planning, managing, and delivering construction projects of all kinds. I am professional and reliable. If you want a quick job to finish a project, I'm your man. Not sure what to do and what it will cost...ask me! I always stay on the job until it's done to your satisfaction. I change kitchens & bathrooms...build new or switch out doors & drawers for that 'new look'. Need a room decorated...we can do it!! Both internal and outside work using quality products. Pigeon Netting specialises in the installation of pigeon netting and the removal of pigeons and there faeces. We offer nationwide coverage for installations. We provide various solutions for pest birds by installing netting systems and spikes. We also provide high pressure cleaning, both hot and cold as well as supper heated steam cleaning covering, the U.K. The same applies to gates, which are even harder to build and install yourself, unless you are a practised carpenter, craftsman or builder. So if you want one-of-a-kind fence and gate designs that can be fitted by professionals, or perhaps just fence repair, then you should take a look at the Leicester, Leicestershire gate manufacturers and fencing contractors listed on Houzz. With Houzz you can browse through gate manufacturers and fencing contractors in Leicester, Leicestershire to find a professional to work on your project. Check reviews, recommendations, ratings and photos of their previous work to decide if you want to contact them about your fence or gate. Gate and fencing contractors in Leicester, Leicestershire will be able to advise you on the best materials to use and how to look after your fencing. Aside from designing, building and installing your fence or gate, a specialist may also offer fencing supplies, materials and fence repair services which will help you maintain your bespoke fencing and gate designs. Whether you are looking to build a traditional wood panel fence, commission an elaborate wrought iron gate, want a quaint white picket fence or a large, electric gate to shield your home from public view, you’ll be able to find Leicester, Leicestershire gate or fencing contractors on Houzz that have the specialist expertise to carry out the job. You may find that gate and fencing contractors also work closely with lawn and landscape professionals. Here are some related professionals and vendors to complement the work of fencing & gates: Wrought Iron Workers, Decks, Patios, Sheds & Summerhouses, Cladding & Exterior Contractors, Landscape Contractors, Landscape Architects & Garden Designers. If you already have some garden fencing ideas or even gate designs, then discuss these with your potential fencing contractors to see if they can become a reality. 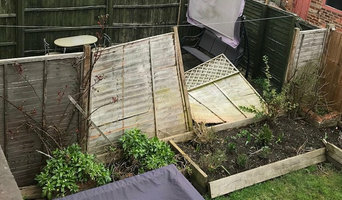 You may find they have to be tweaked slightly, perhaps due to budget, space or Leicester planning restrictions, but good fencing contractors will be able to come up with a compromise to meet every need or constraint. Find gate and fencing contractors on Houzz. 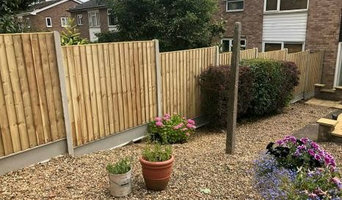 Narrow your search in the Professionals section of the website to Leicester, Leicestershire gate and fencing contractors. 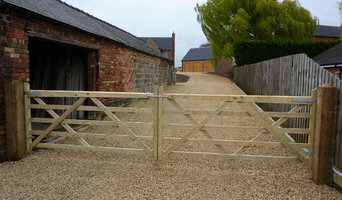 You can also look through Leicester, Leicestershire photos to find examples of fencing and gates that you like, then contact the contractor who worked on them.